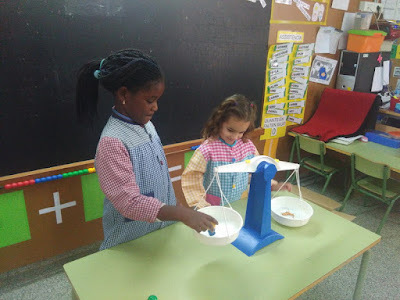 EXPERIMENTEM AMB L'AIGUA, LA SAL, EL SUCRE I ELS COLORANTS ALIMENTARIS. FEM GLAÇONS DE COLORS I PINTEM AMB ELLS. 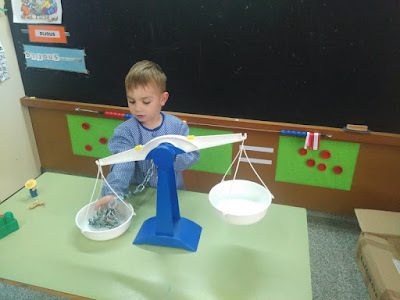 MIREU QUE BÉ ENS HO HEM PASSAT!!! 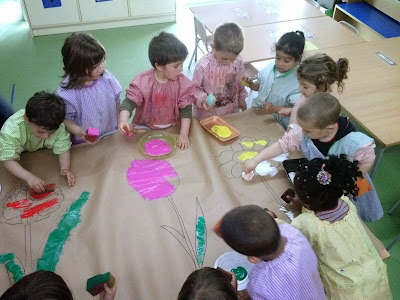 HEM CONEGUT L'AGNÉS MARTIN, UNA PINTORA QUE PINTAVA MOMENTS DE FELICITAT. NOSALTRES TAMBÉ HEM VOLGUT FER COM ELLA I ENS HAN QUEDAT UNS QUADRES BEN BONICS. 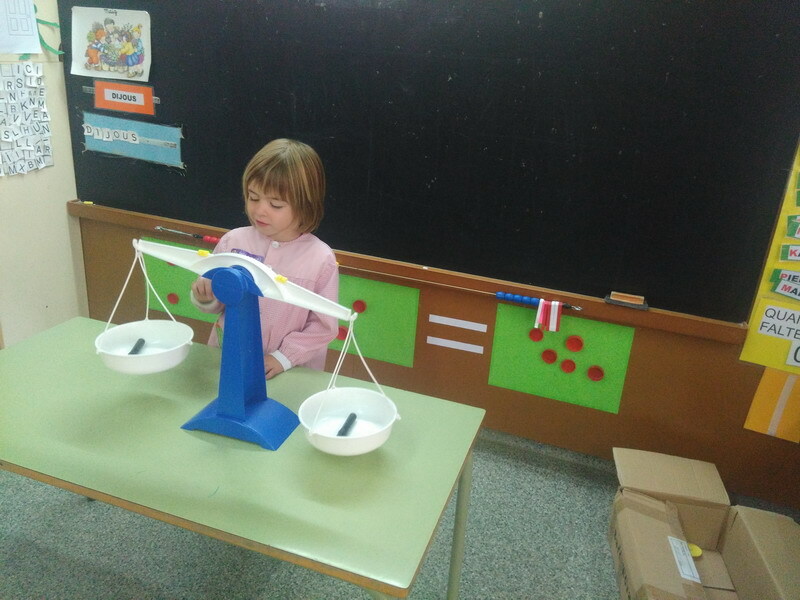 HEM REPRESENTAT EL CONTE DE "LA RATETA QUE ESCOMBRAVA L'ESCLAETA" TOT CARACTERITZANT-NOS COM ELS DIFERENTS PERSONATGES. 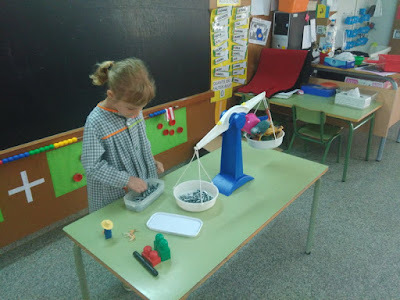 ESTEM MOLT CONTENTS PERQUÈ LA PRIMAVERA JA ÉS AQUÍ. 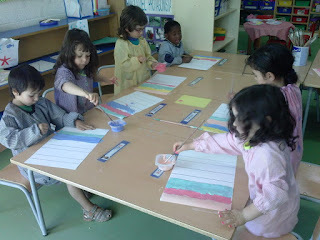 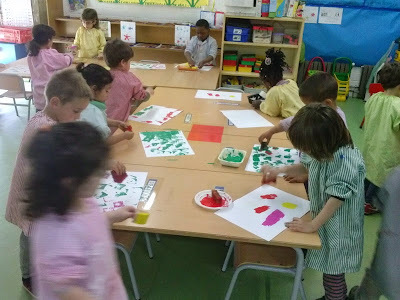 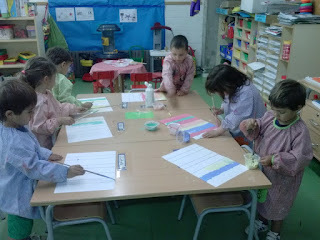 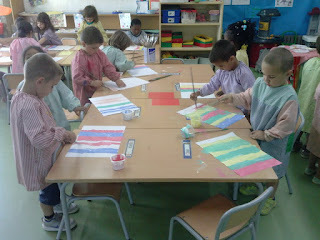 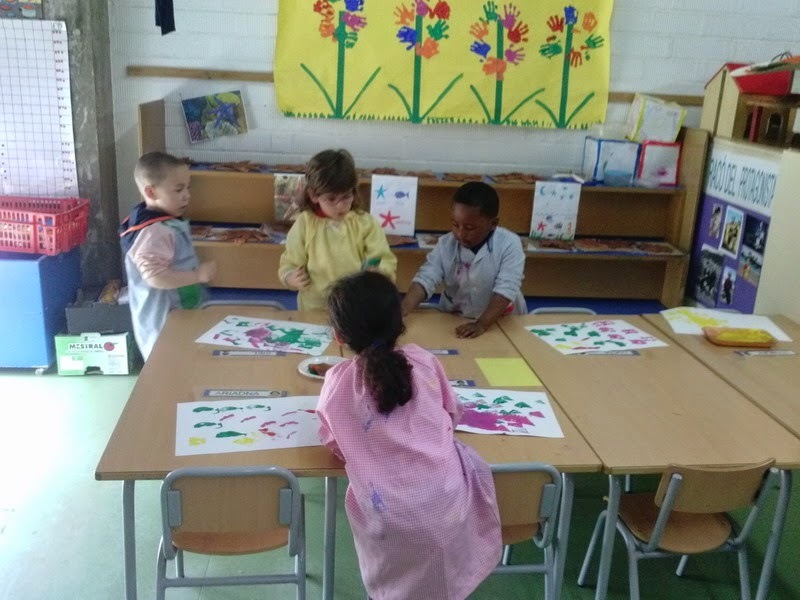 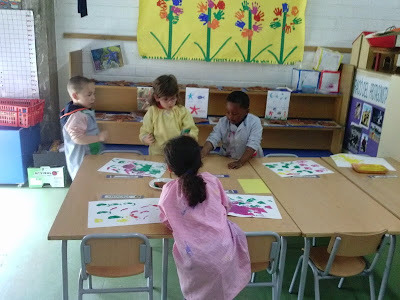 HEM GUARNIT LA NOSTRA CLASSE AMB FLORS, PAPALLONES I COLORS! DURANT LA SETMANA DEL 20 AL 24 D'ABRIL HEM CELEBRAT LA SETMANA LITERÀRIA. AQUEST ANY HEM TREBALLAT LA POESIA. 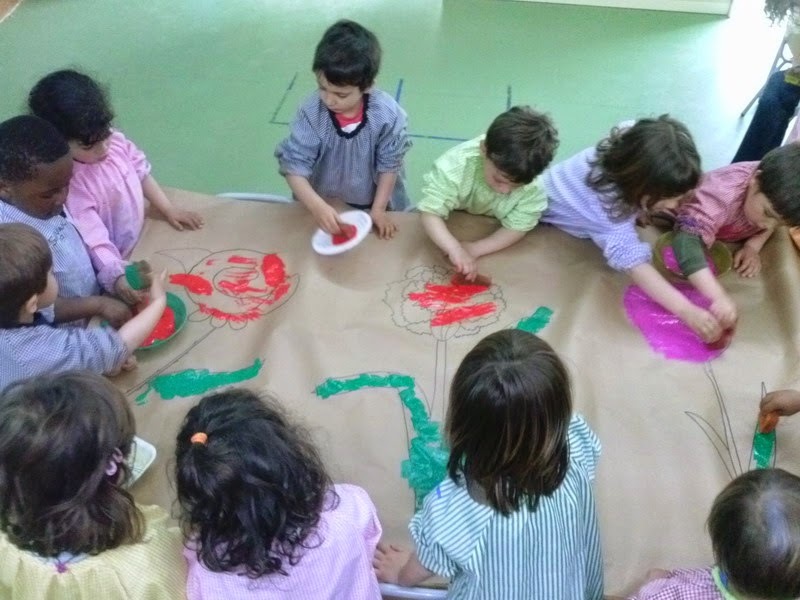 A EDUCACIÓ INFANTIL ENS HEM MENJAT PER ESMORZAR EL POEMA DE MIQUEL MARTÍ I POL "PA AMB OLI I SUCRE"; HEM DIBUIXAT EL POEMA "A MAGDA MARÇAL" DE Ma MERCÈ MARÇAL; HEM REPRESENTAT CORPORALMENT EL POEMA "AL COR DE LES PARAULES" DE MONTSERRAT ABELLÓ; I HEM TRAÇAT EL VOL DE LES "MOSQUES I MOSQUITS" DE PERE QUART. 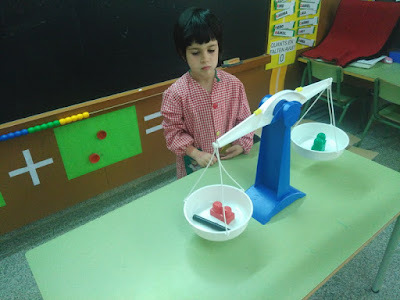 AQUESTS QUATRE POEMES ENS ELS VA PRESENTAR I COMENTAR LA IRENE SOLÀ. 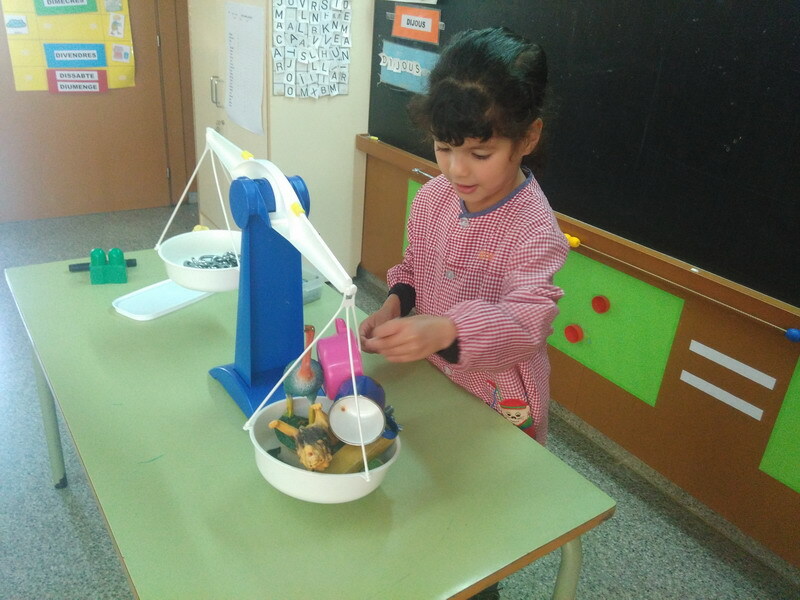 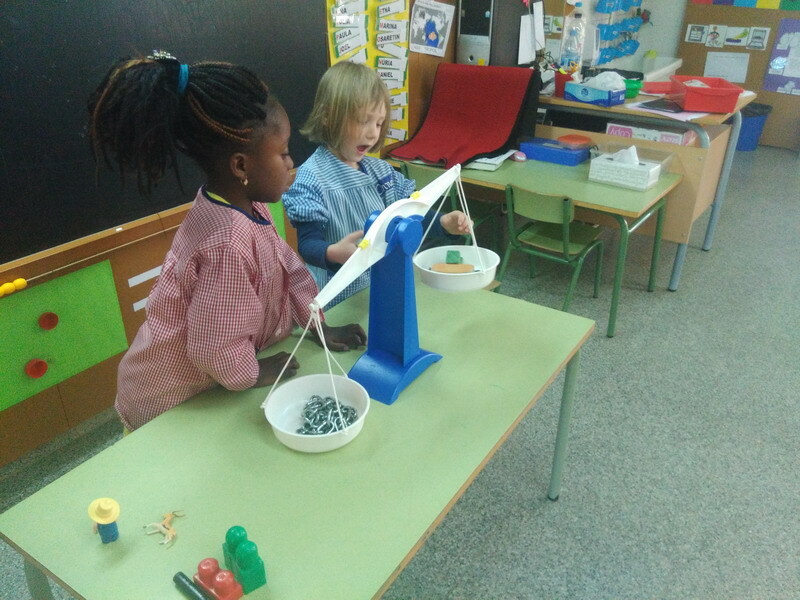 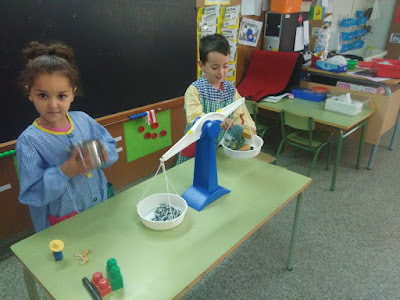 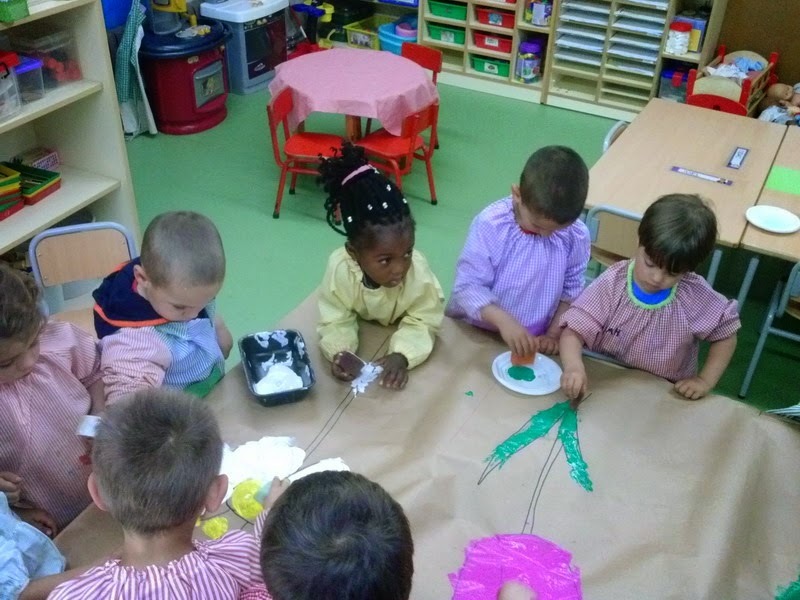 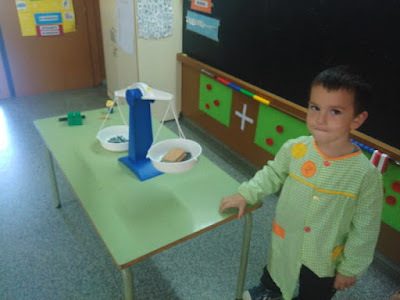 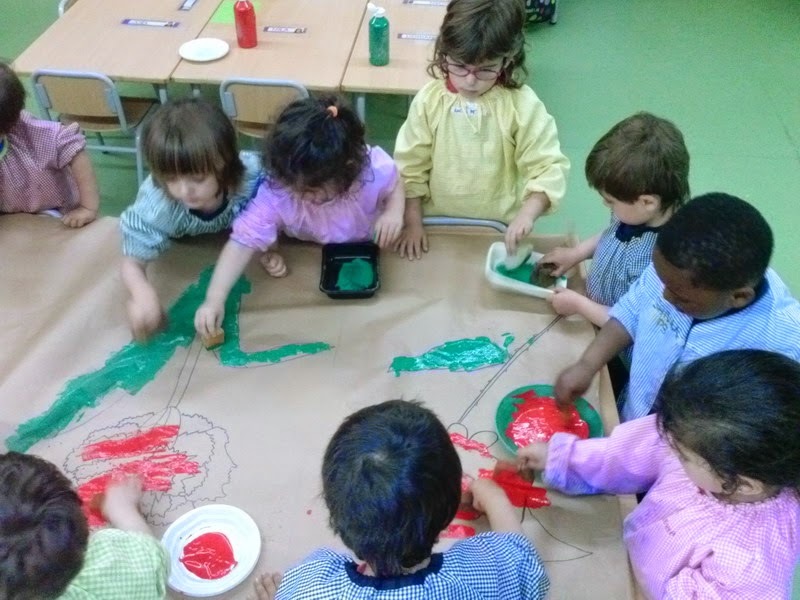 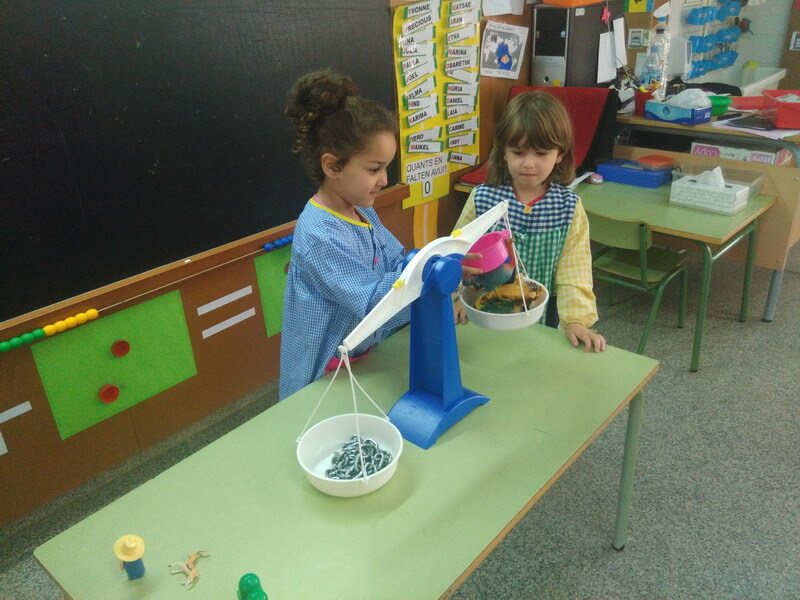 I ELS INFANTS HAN ESTAT ELS PROPIS PROTAGONISTES. 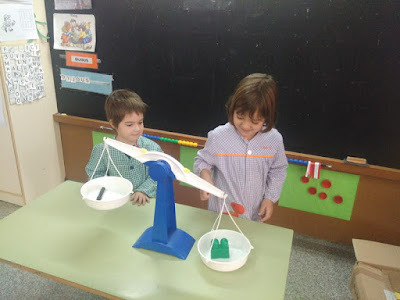 PER TAL DE SABER ENCARA MÉS COSES DEL PEIX PALLASSO.